Martial Arts Training Mats - Judo vs Jigsaw? - Ultimate Training Gear. Martial Arts Training Mats – Judo vs Jigsaw? The world of Martial arts is a big place and regardless of your discipline, safety should always feature in your training and preparation. Your style could be a stand up or ground discipline but either way martial arts training mats will play a part in your training. The choice of mat will more than likely depend upon a budget, followed closely by what you have used in the past. My aim is to give you a different view of what is available on the market and show you why sometimes cheaper isn’t always better! Judo vs Jigsaw “Market leaders”. Martial arts training mats play a large part in improving safety, this is a fact. Your training needs will dictate your choice of mat, judo mats are what I’m going to refer to as the “Daddy” they’ve been around for years and they were the first on the stage. It’s origin is Japan and it’s name says exactly how it was used. They are strong, designed for handling throws, good for training falls and come mainly in two colors, which is red and green. Like most things in life you do have your pros and cons. They’re 2 meters by 1 meter in size and are designed not to move, usually they are secured on the floor by a wooden edging. This does help to a certain degree but due to their composition, temperature can cause them to shrink when they are cold and expand when hot. Now expanding is fine but shrinkage not so much! This can lead to gaps in between each mat which can cause damage to your toes. I can say I have never experienced this myself but I have seen students come very close while training certain techniques. Judo mats feel really good to train on, this could be because of their covering ,which is PVC. Can cause injuries due to gaps. You can expect to pay between £72 and £220 per mat, now that’s not cheap but if you compare it with buying a Ford or BMW car, you get the idea. Quality, Performance and durability wins every time. In the blue corner we have the martial arts training mats newbie. 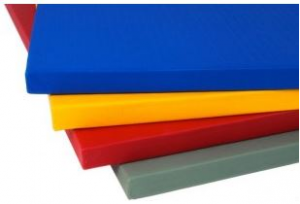 Smaller in design, two mats makes one, they come in a variety of colors but the most popular two are red and blue. Lets first deal with the cost, they are cheaper and can cost between £18 – £ 25 per mat. This really depends on the required thickness, which ranges from 20mm to 40mm. Their name says what they are hence there’s no confusion between Jigsaw and Judo mats. They lock together like a jigsaw and removes all possibility of gaps and any accidents that might occur with its predecessor! This is a good thing and shows how martial arts training mats has evolved. Jigsaw mats are made from a high density foam, this makes them very tough and durable. But because of its texture, there’s no give, snagging of toes can occur. Less chance of toe injuries. Not affected by temperature change. The world of Martial arts is vast and with it comes a variety of training and safety aids. Regardless of what you choose to use in either case, you are now in the know. You can now make an informed decision that will impact on how you train. This will directly affect how you perform, which I hope is for the better! Thinking about both types of mats with an open mind, I would like to point out that when it comes to ground training, both mats could be equal! The risk of damage to toes is reduced in regard to a stand up fighter who would be standing and constantly pushing off, in various directions. The mat surface would have no real advantage to someone on their back or knee. Picture yourself training in your chosen discipline or just working out to keep fit. Running back and forth, you drop to the floor and push out a few sit ups, at this point you take notice of what you’ve just sat on and how it feels. Matting is designed to aid any training regime, safe guard your joints and enhance your training. The compressed high density foam does its job and does it well. Mats are taken for granted but take it from someone who has been there, they make all the difference. If you take your training seriously, then martial arts training mats are a necessity. Train Hard and Go Home! My comparison ends here. Now all choices are left up to you, on paper It looks like the Jigsaw mats win hands down but spare a thought for the “Daddy” that continues to dominate most sporting functions. Giving athletes of all ages and abilities a safe training environment. In our ever-changing world we work hard and to maintain our work ethics we train hard! Training safely is the key and In my opinion should be a must for everyone. So make your choice and bounce, roll and jump to your hearts content. Your matting issues are no longer a problem, so the sky’s your limit. Next Home Fitness Training – Blood Sweat And Tears. I think I prefer the jigsaw. I’ll start martial arts in September. I ‘m a total beginner, so I’d choose with something cheaper for a starter. After a while, though, I think I’ll prefer something of better quality. I never knew there were other choices in mats. When you mentioned that the jigsaw mats are not very forgiving, is that because of the thickness of the mat? I’m not sure how thick the common judo mats are, but I recall them being fairly thick. 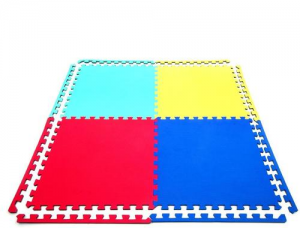 When I did karate, the mats we used had Velcro strips, so one mat would lay down and then the next would lock into place by laying beside it on the Velcro strip.